Positional value wise according to that chart, SS is more valuable to a team than WR. Pff says WR is more valuable b/c of Wins above replacement or whatever... Just found it interesting. Also interesting how much LTs get paid compared to Qbs, when i doubt anyone would argue LT is more important than a QB.. But economic theory would suggest that teams do think it is, otherwise they wouldn't pay the LT more than the Qb on average? Weird. It appears on its face, that it's not what fans think it is in terms of cap space dedicated to position apparently (on average) but the data is skewed by rookie contracts so take it FWIW. If we had the number excluding rookie contracts we'd have an accurate assessment of positional value. I could not find that info, but maybe you can. I think you posted your last post on the wrong forum. No moe is here. haha. 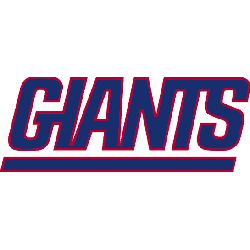 I find it funny when every year someone says: "Well why can't the Giants just get a RT in free agency!" and I have to tell them that good OL talent is scarce in free agency and OL are getting paid nowadays! Just check the signings of OL players. You have to overpay to get OL talent. You are bound by cap space. So what do you want? Do you want a bargain player like Ereck Flowers or do you want a solid player who helps protect the QB and opens up holes in the run game? I was surprised by something with the information you provided from Spotrac. I would have sworn that DEs would make more than a RT but apparently not in today's NFL. RTs are valued higher than DEs according to how they are being paid on average according to Spotrac. The Giants really need to grab a RT in this draft. Especially at pick #17 or the 2nd round pick. That is a critical need. It maximizes cap value. Leaving more money available to pickup free agents at less valuable positions. I was surprised by something with the information you provided. I would have sworn that DEs would make more than a RT but apparently not in today's NFL. RTs are valued higher than DEs according to how they are being paid on average according to Spotrac. which is one of the numerous reasons Barkley was a mistake on a rebuilding team . I would love to see Cody Ford at RT. Usually I'm not real excited about O line picks but I'm super excited to see what O lineman we grab this draft. For those that hate the barkley pick a QB is 3.59 times as valuable as a QB. for those that love the barkley pick, a HOF RB is 5 times as valuable as a turnover bad decision maker QB. On the Giants forum I used that very thought process on why the Giants shouldn't draft Barkley. I wouldn't have drafted a QB either last year. Gettlemen and company made a couple of mistakes. First is the transition to a 3-4 defense WHILE still trying to compete for a playoff push. That was simply unrealistic. You had personnel meant for a 4-3 defense still on the roster, the offensive line was a complete mess, and RB was selected to help Eli. But it didn't really help the team as a whole since they were rebuilding but disguising it like they were trying to compete. Why he signed Odell doesn't make much sense if they wanted to start from scratch. I understand where Gettlemen is trying to bring this team. 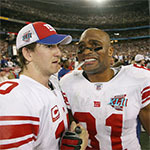 Think of the Giants when Tiki Barber was on the team. But he needs to finish the OL build FAST or he's simply wasting Barkley's potential. A 3-4 defense uses more DTs which are cheaper units to acquire. It can help balance out a roster with an expensive RB on it. You get rid of the massive DE contracts and super star contracts (Odell) and now build a more balanced team that fits the schemes being used.